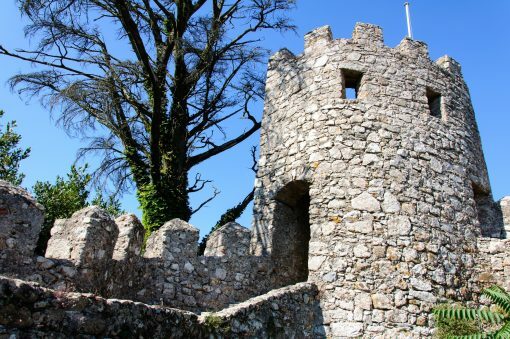 Many visitors are surprised to find The Castle of the Moors in such a ruinous state as opposed to a castle in a fundamental sense but make no mistake; this attraction is a most memorable visit on a trip to Sintra. Located among the lush green forests of the Serra De Sintra, the castle was initially constructed in the 9th century by the Moors as a means of guarding the nearby town. However, having fallen into complete chaos and disrepair after the Christian conquest of Portugal, the site was left to ruin. 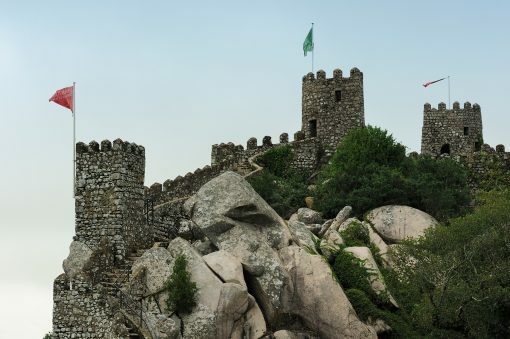 Restored to its original state in the 19th century by King Ferdinand II, the castle underwent a transformation quite similar to what you will now find in the gardens of Pena Palace. Antiquated and enchanting in every way, this popular attraction in Sintra manages to retain the charm of a very ancient period with dense green forest surrounding the crumbling battlements below. 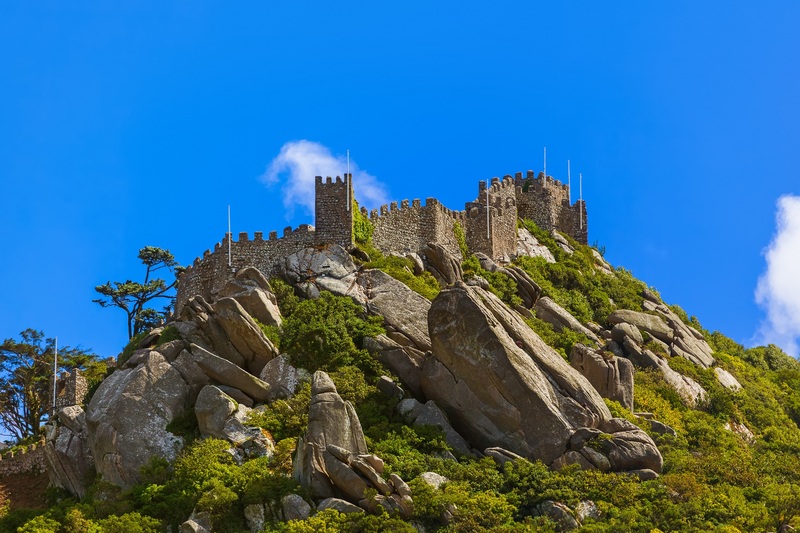 Sitting on a prominent perch high above the town, the Castle of the Moors is also home to the most magnificent views of the Sintra Region, and with such an elegant backdrop, the ruins are a heavenly sight for photographers in particular. Although the castle is easily accessed and just 200 meters from the entrance of Pena Palace, it must be known that while the short distance from town (3.5 km) can appear as a moderate task, for the route encompasses a steep climb into the Serra de Sintra. Yes, some visitors are surprised to find the ruinous nature of this castle at the end of a steep climb but make no mistake; it’s all part of the experience.